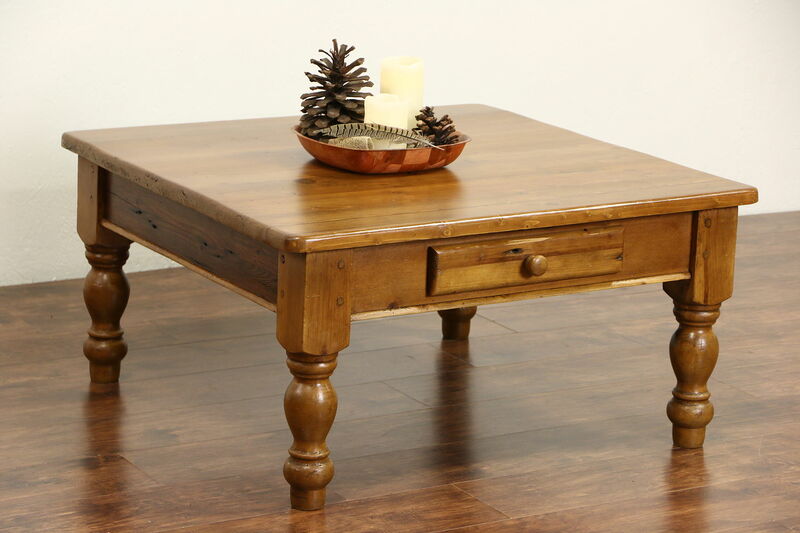 Crafted of old reclaimed wood about 40 years ago, this country pine coffee table has an excellent renewed finish. There are shrinkage separations from age on this American made vintage furniture. Legs are attached with wooden pegs and the drawer has dovetailed joints. Size is 38 1/2" wide, 37" deep and 19" tall. See 18 photos that enlarge to full screen size. Please contact us for a shipping quote.